The effect of drugs on communication and some alternative solutions. ,, I’m talking about legal drugs here… so if you looking for anything you can be arrested for and found this site by accident.. you’re in the wrong place! 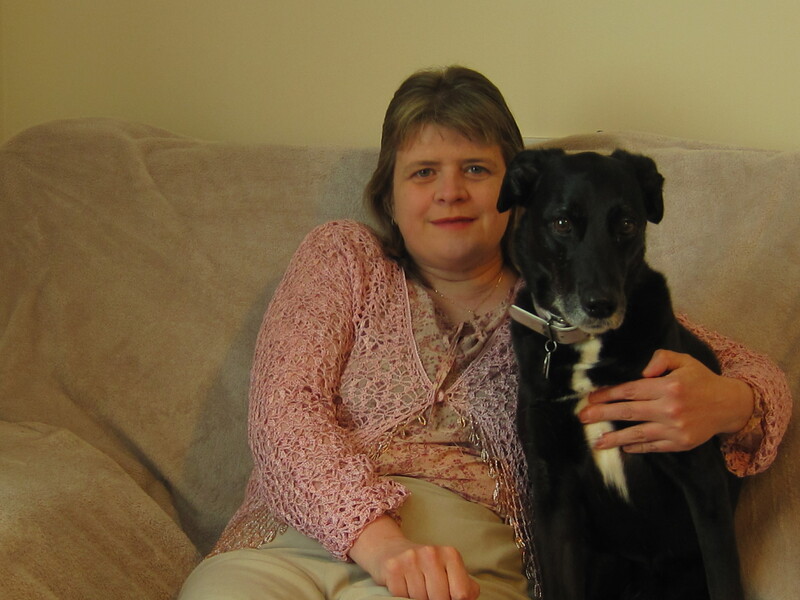 This is a bit of an impromptu posting as I had just read a post on the AAC board where someone had asked if anyone know of the effects of Baclofen on the eyes as their client/family member used eye gaze as their input method. A few years back I was undertaking a trip for my brothers wedding which meant that between leaving home and arriving at the next accessible toilet (at hotel) there were 4-5 hours and I had been having some difficulties with my bladder not emptying properly. I had discussed muscle relaxants with my Neuro at an appointment I had set up just before the wedding, but she had informed me that it can intially make the muscles very floppy so I could end up with the opposite problem re bladder and it may affect my ability to stand myself up for transfers as my leg muscles would be floppier too. At that time my arms weren’t affected so the effects of it on my arms, signing ability and typing skills were never mentioned. So consequently this was not something I took into consideration. As it was really close to wedding, I had only just managed to get a cancellation appointment a few week before the wedding, I didn’t want to risk it, I already had my suit which was cream colour so I really didn’t want to be peeing in large volumes in public when I had the large time of 4-5 hours with no access to a toilet (during ceremony and the travelling up to reception which was some distance away. A nurse came to show me how to use an intermittant cathetar so I could ‘manually’ empty the bladder fully before leaving home and as an extra precaution I got a pack of Tena pants just in case I couldn’t go that long without needing a wee again! I managed to get through it, I had one cup of tea at 6am when I woke up then didn’t have any more drinks until we reached the hotel around 2pm. Anyway back to the point… I hadn’t thought of the effects on communication as many of the side effects included dysarthria (inability to co-ordinate muscles used in speech), tremor, dystonia or increased ‘floppiness’ of muscles (not sure of correct medical term on that one), it also listed ‘ataxia’ as a side effect, so if you already have ataxia in the first place is that going to make it doubly as bad as it was? Although very few people would end up with nearly all of these side effects, there were enough of them in there to guarantee it may have some affect on your ability to communicate if you relied on typing and/or signing and even make ‘difficult’ speech more difficult to understand. As my neuro had pointed out the other things though they were quite enough to put me off at the time, the risk of ‘having an accident’ in public and legs been too floppy which would have meant I would have struggled to do things like get myself out of bed, transfer from chair to toilet etc so I’m really glad now I made the decision to work around and adapt to the increased stiffness in back and legs. I found heat helps and found my electric blanket to be a great help through the winter months as the heat from it keeps my back and leg muscles relaxed in the cold so I at least get a decent nights sleep and if I wake up early in pain, I put blanket back on for a while (I never sleep with it left on, even on over-night setting) and it soon eases off with combination of painkillers and heat. 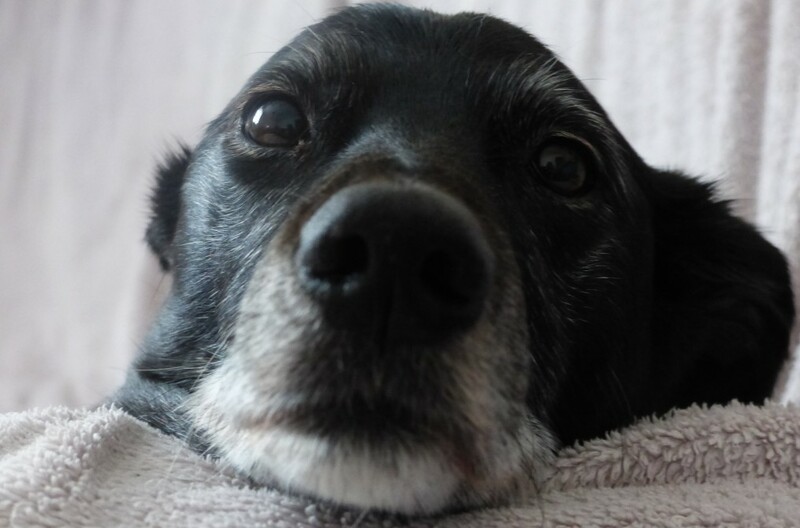 Obviously by time I got up and been out in cold to walk Inca (in winter) I’m starting to stiffen back up again, but I have learnt to use this to my advantage. Although it involves a much more lengthy procedure of ‘defrosting’ when its really cold, its been worth it to maintain as much function as possible in arms and legs. 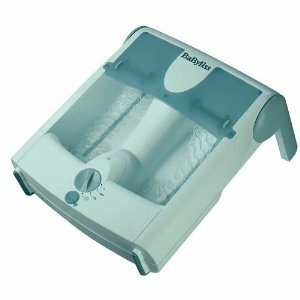 My friend bought me this Rainfall Foot Spa one year and its great through winter when its freezing out, I fill it with hot water and put bubbles on then soak my hands in it (as they go really stiff and blue in winter then its really painful to type). This helps relax hands, warms them up again and I can use them as typing is major communication method for me with also using a minicom textphone as well as computer and Lightwriter. Once I got hands reheated I place it on floor so can warm my feet up again which are usually still blue despite two pairs of socks and furry ‘Ugg’ boots! I find wearing splints inside the boots helps too as it stop calf muscles tightening as much again after been out in cold. After my ‘defrosting’ routine I usually manage to get a bit of typing done and some lunch, it probably would be easier to just take a pill but whether you feel its worth the risk to lose the function you have worked so hard to keep is down to the individual. 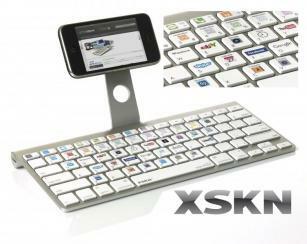 With the new release of the iPhone 4 OS allowing bluetooth keyboards to connect now I was interested to know if it would now be a viable option for me as a phone. When I first tried an iPhone a few years back, it only had the on-screen keyboard available in portrait mode and in qwerty so consequently the keys were tiny and i struggled to even type my name. At that time the Blackberry Storm was the best option as it offered 3 choices of keyboard and the suretype keyboard came with built in word prediction and the ability for you to create your own abbreviations. The iPhone OS never did this as a built in option. However the Zentap app now offers word prediction and the ability to create abbreviations also along with the ability for it to open your email or SMS for you and paste any text in. That makes things a little easier and they were certainly heading in the right direction but you still had a tiny keyboard for typing on. 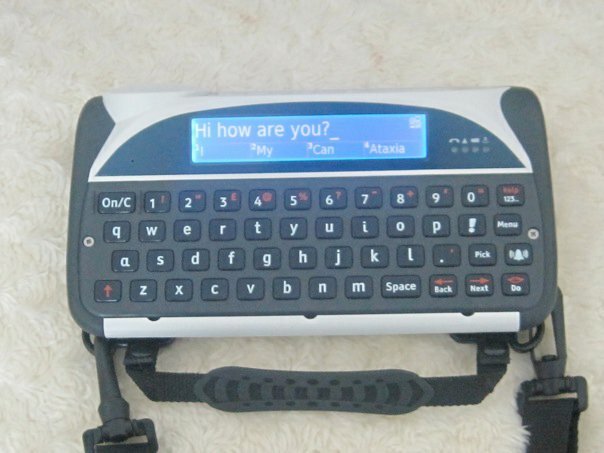 This latest version of the OS allows you to connect to a bluetooth keyboard and there are several folding keyboards available out there. You can connect the apple bluetooth keyboard to it also and this would work for inputting text. However I was browsing online last night and came across this one. From the report it seems that this keyboard allows you to open the apps (or certain apps) from the keyboard itself. This is a Prototype and when this report was written in February this year, the company were waiting for the go-ahead from Apple. There will be way of attaching your iPhone to the keyboard which will be more compact on the finished version. It will be interesting to know whether you can assign other apps to keys. eg if I wanted it to open Zentap which would then send any text I composed in there to SMS, email or clipboard or if you could also use the navigational keys to scroll down the icons, giving you access to everything on the screen without having to struggle trying to hit small buttons with a finger or stylus. AFTERNOTE: shortly after writing this up, I came across another link on Facebook leading to video of two deaf people using the iPhone as video phone to sign to each other. This would also be handy if you have difficulty making out what people are saying unless you can see their faces. 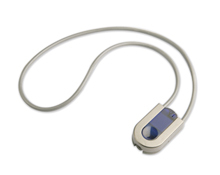 You can buy loops for mobiles which you wear around neck and put hearing aids on T to make the voice louder. 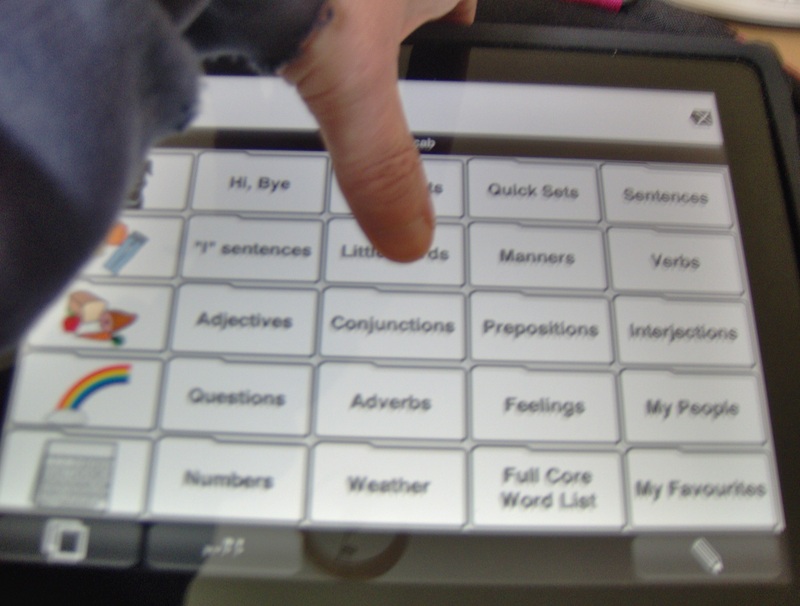 AAC stands for Augmentative and Alternative Communication. It refers to any method of communication other than speech such as signing, pointing to pictures, alphabet boards or using High-tech VOCA’s (Voice Output Communication Aids) such as Dynavox or Lightwriter. These devices are also known as ‘Dedicated Devices’ because they were built with the purpose of communication in mind. Some only do that like the older versions of these machines but now many of the touchscreen devices include access to the internet via Windows. As computing in the ‘mainstream’ has evolved many programs have been designed for touchscreen tablet PC’s as a cheaper version of the dedicated devices which often run into several thousand pounds, even for a basic touchscreen device. As many people (particuarly adults with late-onset disorders, which is kind of my specialist area) can’t always get funding for these more expensive devices it has been interesting for me to have opportunity to compare both devices as I now have both a Lightwriter SL40 and recently bought the Apple iPad and put Proloquo2go (shortened to P2G after here – see previous posts for more details on it) on it. 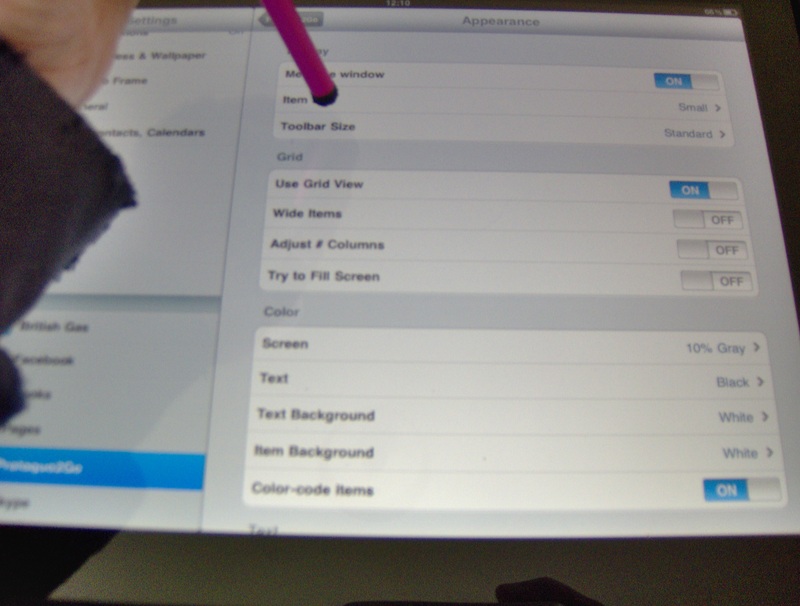 The Lightwriter Sl40 dedicated AAC device and Proloquo2Go on an Apple iPad. Works on simple premise of word prediction and typing. I first used a second hand Sl35 with my first helper many years ago, it helped her to understand me in the car and places she couldn’t hear me well as she could read the display. My typing skills were much better then which was lucky as the word prediction wasn’t as good on the older model. However the battery life was much better. I was given the SL40 by my local NHS who were having difficulty getting hold of Sign Language Interpreters in a medical emergency and at one point I was having several allergic reactions in one month and they didn’t know what to. I have to say…. the word prediction on this is brilliant! It learns really fast and now I rely on it more as I can’t touch type like I used to and using only thumbs these days, I often find I can compose sentences purely from the word prediction without even having to press any letters. 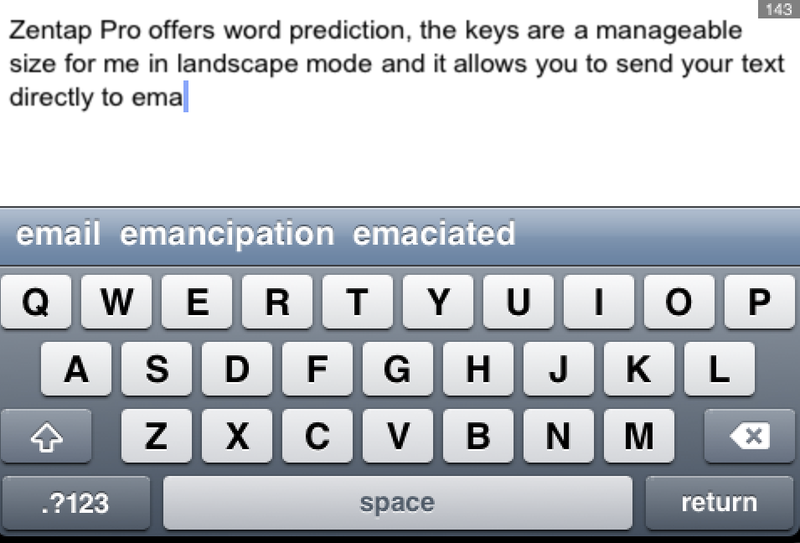 I used abbreviation-expansion more on the SL35 for pre-stored sentences but I use the word prediction more on this. There’s less of an issue with screen glare as you can still see the keys outside, although the word prediction can be difficult to read if sun is particuarly bright, however you can work around this by using Abbreviations in that setting and this is what I do, as long as other person can hear the machine I have certain sentences also saved to abbreviations so I know what its gonna say even if screen is difficult to see due to direct sunlight. I also use sign and most people can guess with a few gestures but sometimes I need to spell words out for them or give an explanation. Only thing thats an issue for me (more due to my own personal circumstances) is it doesn’t alert you to incoming texts AS you get them. As I live on my own, its not used everyday as a communication aid and most people who know me on daily basis can understand my speech/signs. 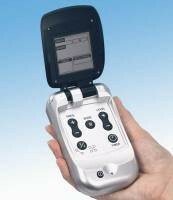 As I’m also deaf I need a vibrating alert like like something I can have in pocket and feel it vibrate or see it light up if its on table at side of me when message comes in. It would be handy if the SMS number could be linked to a vibrating pager or something and this was included as part of the price as they do cost £3,200! Its an excellent device and really easy to communicate with. Also as I’m deaf I have used it by passing it to other people to type for me (like when I had chinese doctor I couldn’t lip-read her well, she typed, I read it). There’s not many other devices you can do this with and still maintain face-to-face contact. 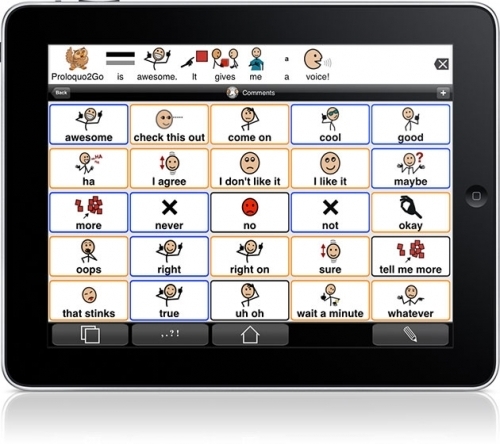 Great App and it gets full marks just for attempting to make AAC more affordable for people who can’t get funding. The app is only £109 and for just over £400 you can get a 16GB wi-fi iPad, huge difference in price to just a basic touchscreen device. The basic setup (vocab) it comes with is aimed at children mainly, although you can turn off symbols the home page is then quite dull as just black folders. I found it nice to have some with pics although this meant having to choose pics for all and removing the pics of the ones you didnt want. This is a mammoth task in itself (as it actually has quite a large vocab if you include all the expansion sets too). It is easier to set up your own page from scratch and make each button individually so you get pics on the ones you want or words only on words you want. Although for speed you often find yourself copying and pasting from other categories. The issue here is if you change the button/category in ‘your home page’ it is then also changed in the original category, which I didn’t relaise when I started so have lost some vocab that I thought I was only deleting from ‘my home page’. Luckily they were mainly americanised words/terms that aren’t used in UK eg I deleted ‘Gateraid’ from the drinks category, although I kept most of that category with pics as I love the little coke cans lol! As the iPad is a ‘Mainstream Device’ I can do lots of other things with it too so it still gets used even if I’m not needing it to ‘talk’ with. It’s handy for quickly checking email, I love playing scrabble on it and a few other games. The Zentap Pro app (provides word prediction and abbreivations) has been useful for speeding up typing and sending straight into email. There’s even a British Gas App to send them your meter reading over wi-fi so you get an actual bill rather than an estimated one. Sky Plus app is another one I often check to see whats on telly and anything I want to record I can set from the iPad. It will also be used as jumbo touchscreen remote when the Red Eye IR dongle is available in UK towards end of this month. P2G is more useful in settings you know you will say a particular thing and can set a whole sentence to one or a few ‘buttons’ to reduce keystrokes. This will be handy for instructing helpers how to make up Inca’s dinner or tell them what jobs I wanted doing that day. I can see it been handy first thing in morning as I keep it by bedside anyway as I like to play scrabble in bed. When you’re half asleep it be much easier to just hit one larger button to say ‘can you make me a cuppa tea please’ or ‘I need to go to the bathroom urgently!’ (I’m always busting for a wee when I wake up.. lol!) when there came a time I needed live-in staff. I can also see it been used as an eReader in the future if books became difficult to hold/turn pages, it can be propped up on my table top easel on over bed table for me to ‘read a book’ that way instead. Spontaneous conversation isnt as quick as you have to remember which category to find words in, unless you have ‘pages’ containing all vocab used in that particular setting. It needs a word prediction feature and ability to use abbreviations for people who would like a choice to use text based options too. I think with an external keyboard and word prediction/abbreviations added it would enhance communication on P2G greatly, improve spontaneous conversations as well as been able to make use of the pages I have set up and improve future access if a pointer or mouthstick was needed. It’s a promising start though and will be interesting to see how it develops further for a wider clientele. At the moment I feel it was specifically aimed at one market (autistic kids who are mainly more active). I feel I learnt alot more about AAC and page design/communication aids through setting up my own home page than I have from using the Lightwriter (which I have had much longer) HOWEVER if someone turns up out of the blue like a repair man who is gonna struggle to understand me the Lightwriter is the one I go for, as it’s quickest to construct a sentence on and if they find the computerised speech difficult to understand they can read the front. As mentioned before the Lightwriter can also be used both ways ie if I have difficulty understanding them they can spell out a word as most people these days can type even if its just to send a text message and its just as easy for them to hit a key as write it on a piece of paper. often they start typing it and find the word prediction predicts it and say ‘ooh look its there’ and point to the word on the prediction!! so one way or another we find a way with the Lightwriter to get across what we need to say to each other. I have all my emergency medical details on both so if one breaks down I have back up from either in an emergency. Problem I find with Lightwriter is cos its not used as often the battery goes down even if left fully charged and turned off and on one occassion I have gone to use it when someone turned up unexpectedly and it wouldn’t turn on despite been fully charged 2 days previous. I had to plug it into wall to use so we both had to stand side by side at table which then cuts off face-to-face contact which I find particuarly important as a deaf person and meant the work man had to keep coming to look as he found it difficult to work out what the voice was saying. I can see my iPad been used for many other things so even if P2G is only kept as backup or used for pre-stored pages scenarios, the device itself will still get used daily for other things such as IR remote, eReader, game of scrabble or chess etc. I think if they added word prediction and abbreviations to P2G (or another speech app came out that could do that which I could add to iPad) so the iPad could do what my Lightwriter can do (and as efficiently) PLUS all the other stuff I can do on it, it would become my main device. 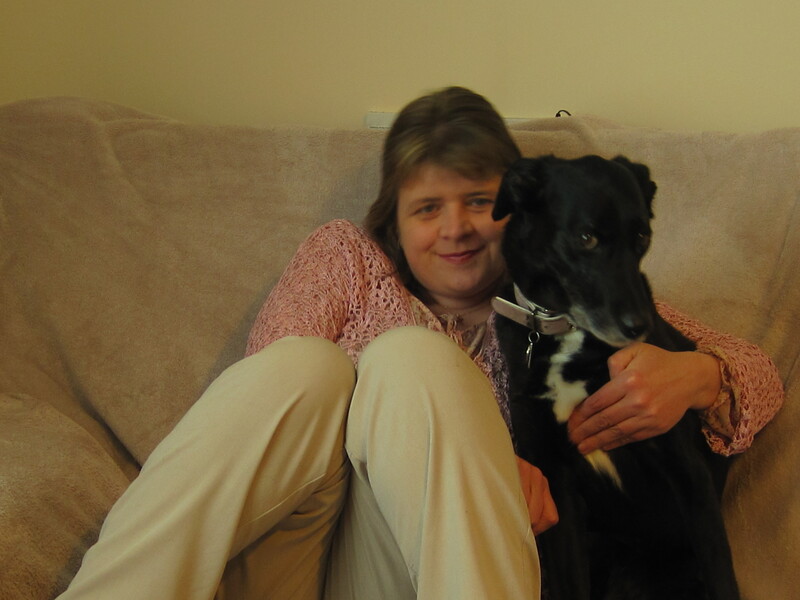 It was mum’s birthday today so we had a pic taken, well it went on for a while and she took quite a few! 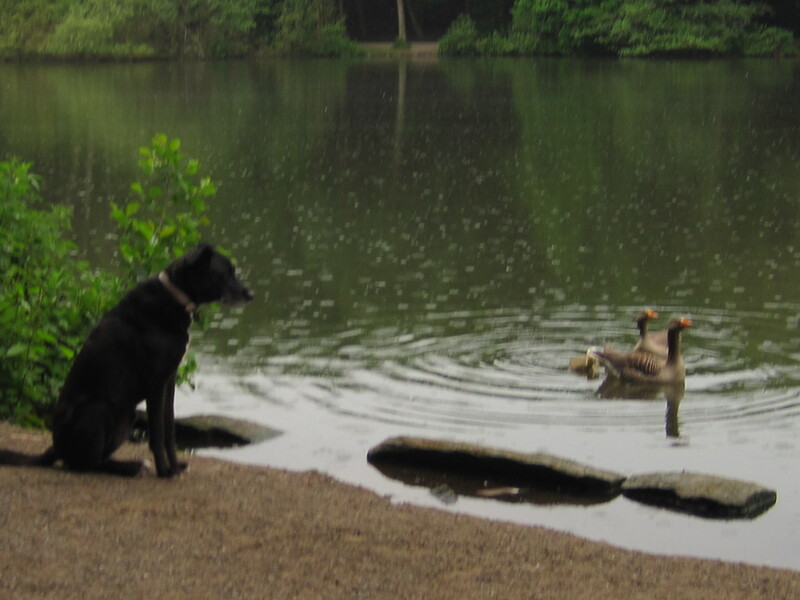 The best part of the day for me was going to visit the ducks again, I love to run around the lake. 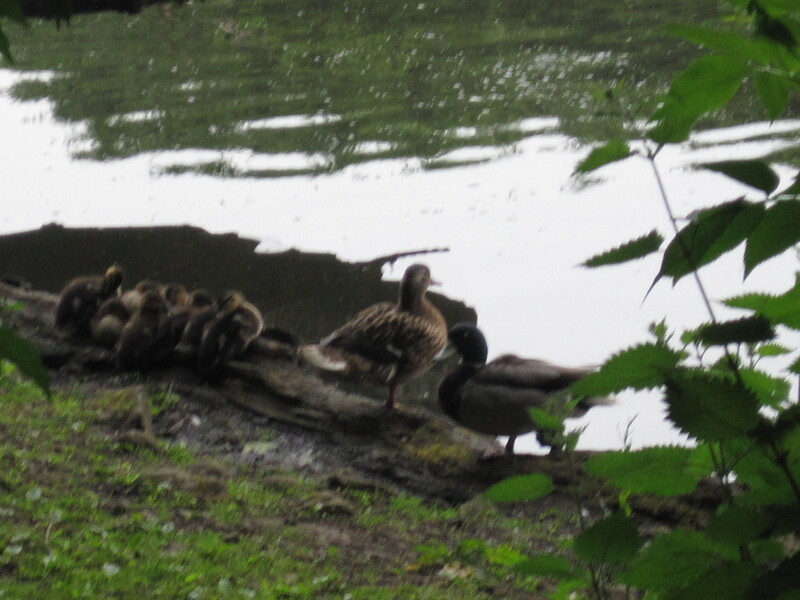 Mum got some cute pics with some baby ducks and geese. Here are some pics from our morning out. 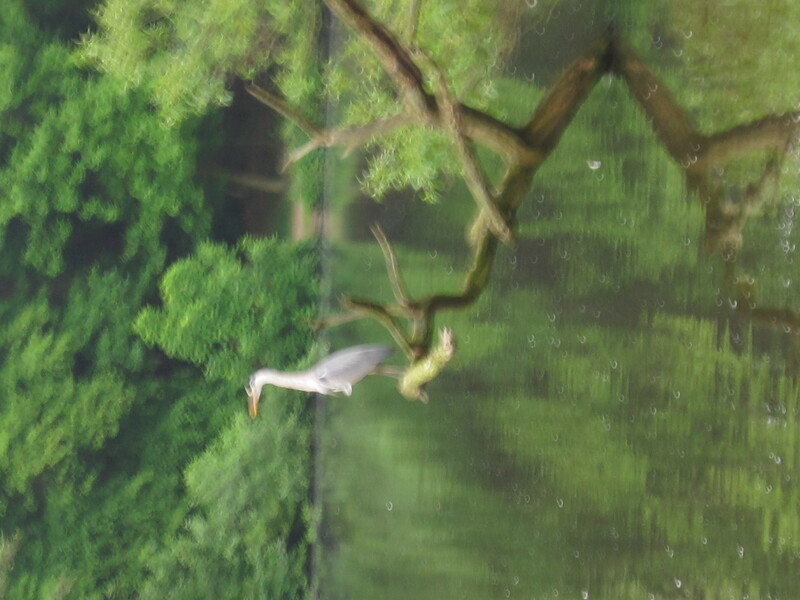 Mr Heron looks majestic on his branch! 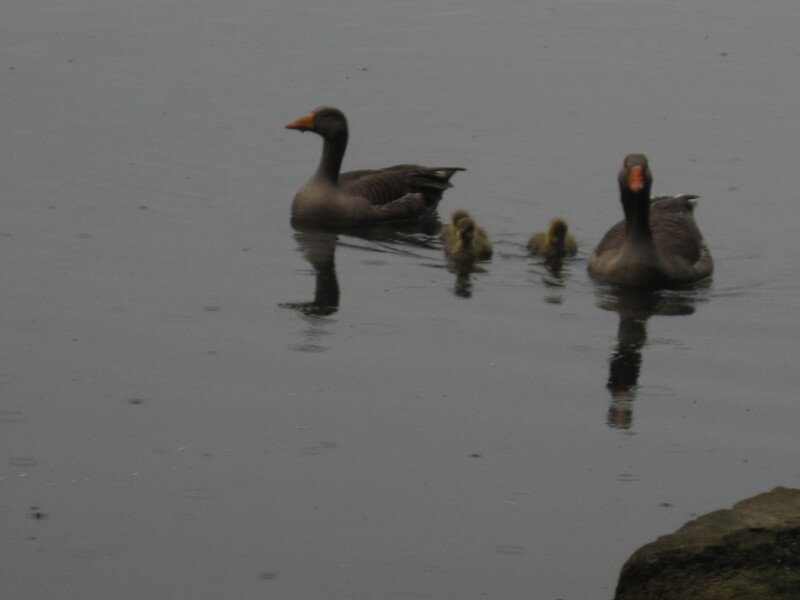 Mr & Mrs Goose with their twins! When I decided to buy the iPad I only knew for certain that I would manage Proloquo2go with the option for larger buttons as I had no idea what the rest of the Menu’s were like. So it was a bit of a gamble, but I was fairly sure the iPod Touch was going to be too small for me to manage to use Proloquo2Go to communicate alot with, going on how difficult I found it just send a simple text message on my Blackberry. I thought it may have some accessibility settings that may allow me to adjust the size of the icons/menu’s. However the only menu’s in accessibility show Voice over, Zoom, White on Black, Mono Audio, Speak Auto-text and Triple Home click. There does not appear to be any options to make the general menu’s any bigger or font’s any bigger, unless you used the Zoom feature to do this. This is ok if you have sight difficulties but my sight is fine, I like to see the whole screen at once but fine-motor co-ordination is an issue for me. There are also no settings for screen sensitivity unlike on the Blackberry Storm, nor in-built ability to predict or offer shortcuts (abbreviations) for entering text. It does offer a word completion but I have yet to manage to hit this and it complete the word for me, so I usually find its just easier to type the whole word out on the keyboard. Landscape mode offers the biggest keys and this is easily manageable for me. If this offered word prediction and abbreviations accessible in every app it would be great. However there is an App called Zentap Pro which does offer abbreviations and word prediction, the text you write in there can be sent to clipboard, directly into mail or safari. 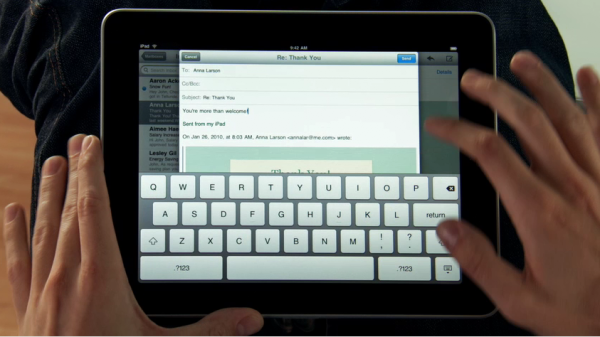 I found it most useful for sending quick email from iPad. … but in general settings the menu’s are closer together and smaller to hit. I came up with idea of putting my Pogo Sketch stylus into a weighted utensil holder (the gap was too tight to actually fit my fork into) and this makes an ideal pointer which works with both my iPad and my Blackberry Storm for texting. 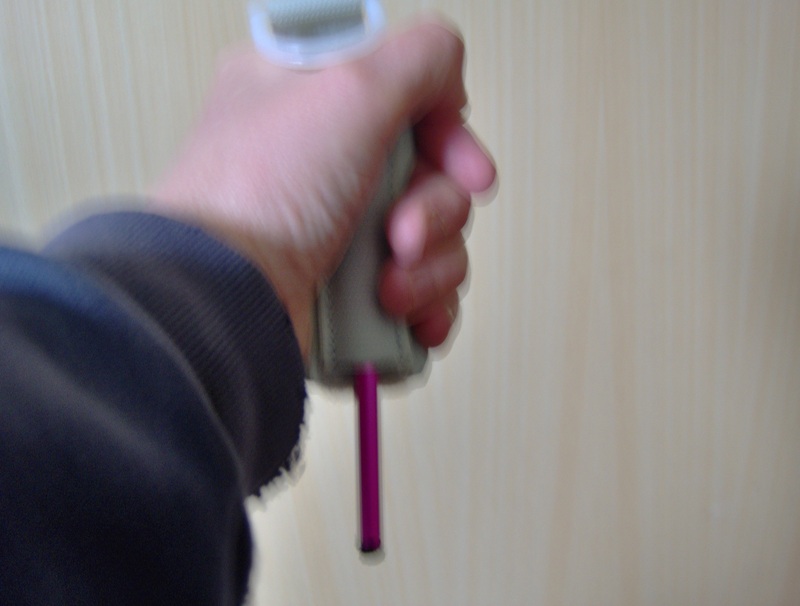 The additiional weight helps to steady my hand whilst I aim. Overall I am really glad I bought it, whatever communication aid I used I would have issues hitting the keys with and unfortunately its impossible to adapt the whole word of technology to solve my co-ordination issues! The iPad will go a way to helping some of my issues with consumer technology though, for example when the Red Eye dongle is released in UK later this month I will also be able to use my iPad as a jumbo touchscreen TV remote and end my daily battle with the tiny buttons on TV/DVD remotes. So I am planning to buy this in a few weeks and add it to my iPad. There are also more advanced Environmental Control systems available when needed such as Control4 and X10 (I need to save up again first though!) that can also control lights, thermostats, doors, blinds. I don’t feel I have reached the stage I need these yet but it’s good to know I can also control all those from my iPad if I was bedbound or unable to use my arms to do those things. The Scrabble and Broken Sword games I am finding particuarly enjoyable along with some classic simple games like memory match and ‘Simon’ (remember that from the 80’s? – match the colours). One game that hasn’t worked for me so far is Uni Sudoku, I thought you would get a number pad to press to select which number you want in a square (as you with DS) but it doesn’t work like that, each square has a tiny area to activate each number as you are working out which number to put in but then you have to trace the shape of the number into the square to draw it in. Even using stylus in weighted holder I found this extremely difficult to physically manage, so I’m now looking for a version of sudoku with a large number pad at side to select numbers. If anyone knows of one please leave a reply on here, to tell me which one! Apart from wasting a few pounds on the sudoku game I have managed well with the iPad and feel it has been worth the money. I like that its multi-functional so even if I don’t have opportunity to use it as a communication aid everyday, it will still get used especially once the IR remote app is installed, even after the novelty with the games have worn off!